The VELA Blues 210 is a small, smart and extremely compact electric wheelchair that makes everyday life easier for active adults and children with disabilities. It is ideal for indoor use at home, at school or at work – as well as outdoors on shorter trips and on even surfaces. 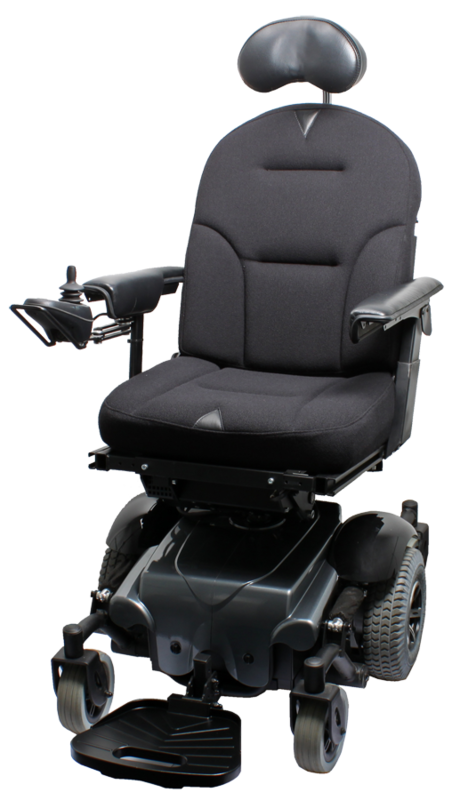 The VELA Blues 210 combines ergonomic sitting comfort with optimum drivability and maneuverability – ensuring optimum user comfort, mobility and safety. The VELA Blues 210 has the extra drivability of a “large” electric wheelchair, thus fulfilling everyday driving requirements with one and the same wheelchair. 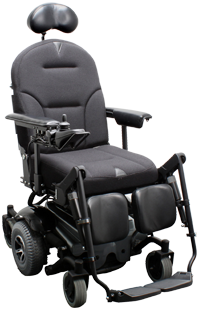 The wheelchair’s full suspension also gives the user a pleasant driving experience. VELA Blues 210 has an articulated chassis, six wheels and mid-wheel drive. 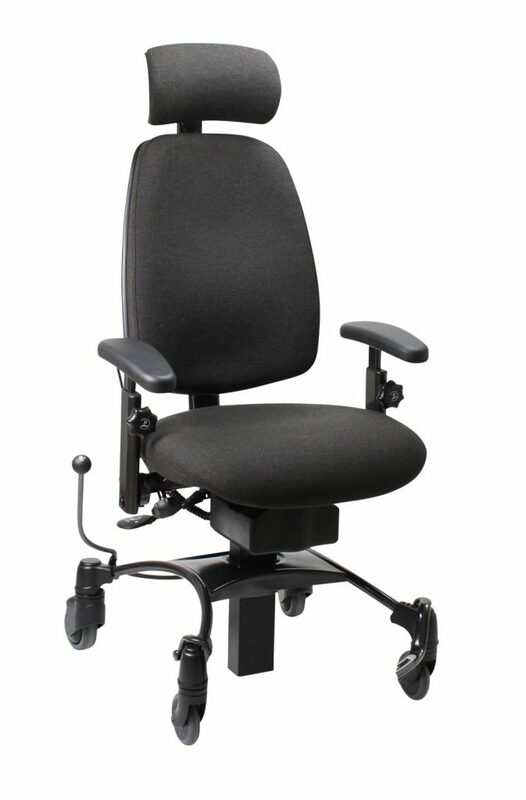 The chair rotates around the body’s plumb line – just like a person walking – giving it a very small turning circle and making it extremely easy to maneuver. This makes it suitable for use indoors where there is furniture and little space, as well as outdoors in between people, e.g. for shopping trips or driving around town. enable the user to vary their sitting position and make it easier for them to get in and out of the wheelchair. 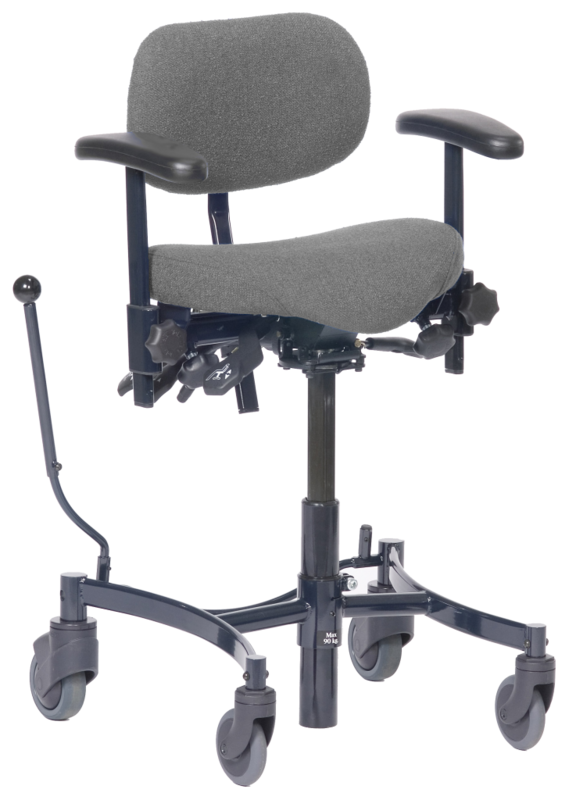 The wheelchair can thus be tailored to the user’s needs by means of numerous adjustment options and a large range of accessories. 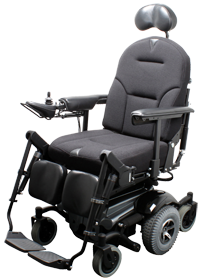 The VELA Blues 210 is a stable wheelchair that is easy to understand and to drive. 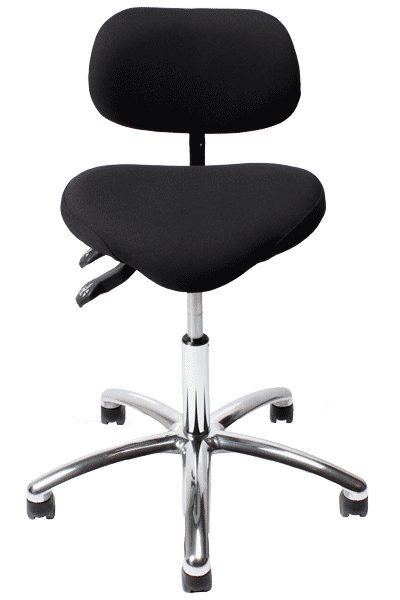 The chair has been crash tested and meets the requirements for use as a passenger seat in motor vehicles. The VELA Blues 210 is manufactured to VELA’s high standards of quality and is also compliant with all relevant requirements and norms.